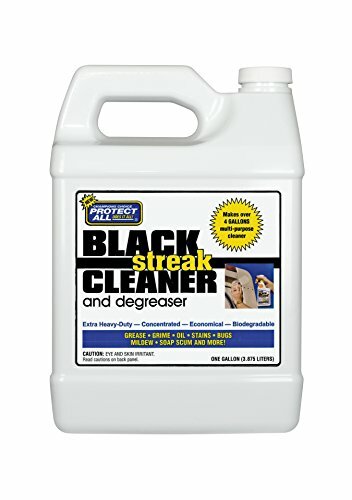 Protect All Black Streak Cleaner and Degreaser. Remove the toughest black streaks effortlessly from your RV with Protect All Black Streak Cleaner and Degreaser. Extra heavy-duty, super concentrated formula cleans grease, grime, oil, stains, bugs, mildew, soap scum and more. Hundreds of uses, indoors or out. Biodegradable. 32 ounce, (Not for sale in Canada) 1 Gallon.